Paperback, 5.5 x 9.25 in. / 128 pgs. 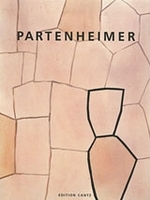 In the spring of 2005, the respected German artist Jürgen Partenheimer spent almost a month in the huge Oskar Niemeyer-designed Copan building in Sao Paulo. He kept a diary, and in reflective, deeply honest and poetic language, used it to come to grips with the architecture, topography, climate and life of the city, disclosing not just his thoughts but many aspects of his artistic process. Entry one reads simply, "A pall of heavy sultry air, laden with petrol fumes, smothers the city." Entry 29, his last, finishes, "Time creeps by at breakneck speed, the desk waits patiently for the daily ritual, the prospect of endless repetition. I decide to quit. Clear up, leave the apartment, climb down from my raised hide on the 28th floor and leave town. Back to Europe. Two drawings lie on the floor next to the desk, begun in brave resistance to my planned departure." 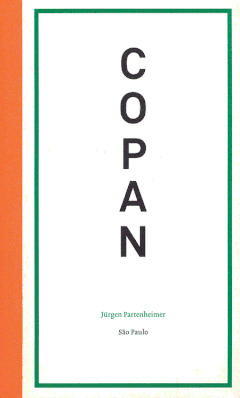 FORMAT: Paperback, 5.5 x 9.25 in. / 128 pgs.